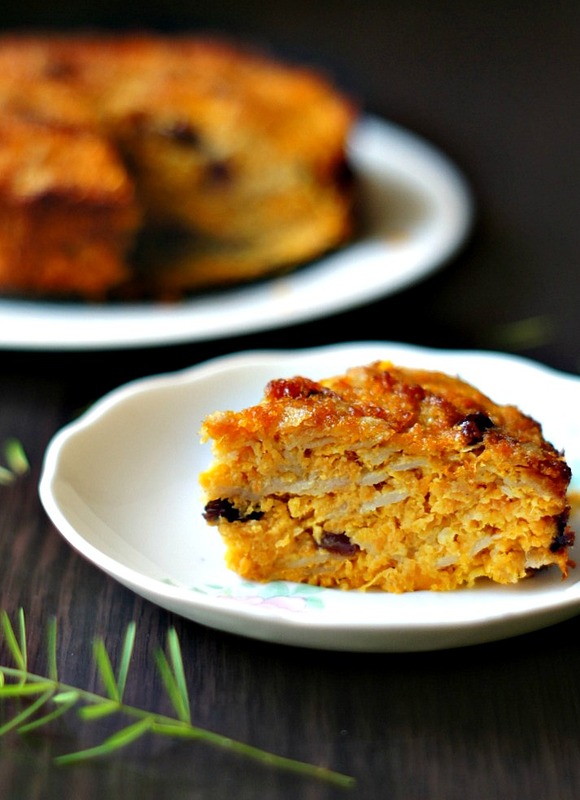 I love a traditional carrot cake with cinnamon and nutmeg and bits of walnut. 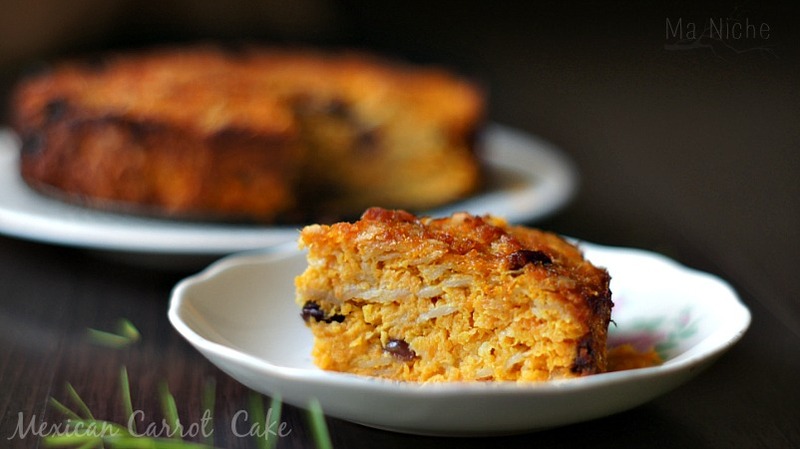 It is rich and flavorful and probably one of my all time favorite desserts. However from time to time I like to experiment with other recipes, specially when the list of ingredients lists an ingredient that I would have never imagined or considered otherwise.. Such was the case with this Mexican carrot cake.. The list of ingredients was short. It did not include any kind of flour. However "flour tortillas" were part of it and those were enough to arrest my curiosity. A cake with tortillas ? For a while I wondered if Mexicans refer to bread puddings as cakes, rampaged the internet for inputs on Mexican cakes, finally decided to try the recipe out and find out things for myself. As I said, the recipe did not call for a lot of things. Hence it was fairly easy to put together. But "the batter" once made, looked absolutely hopeless. It was just a heap of tiny pieces of tortilla speckled with grated carrot. 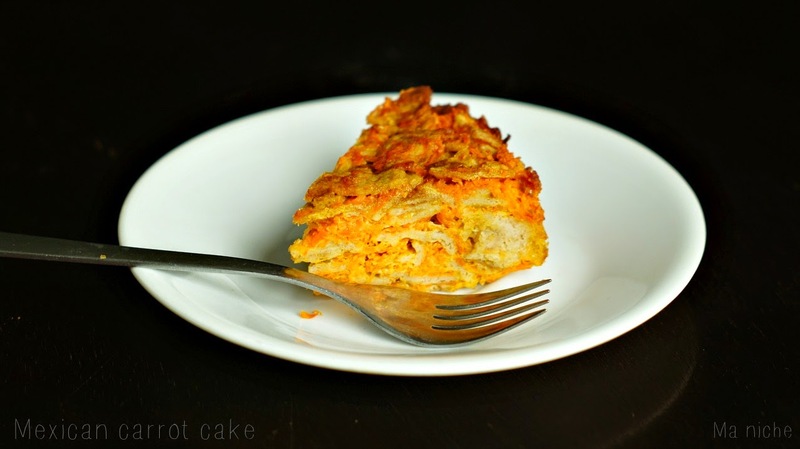 It looked nothing like a typical cake batter or base for bread pudding, let alone a traditional carrot cake. For a while I debated if I should forget the recipe and add more ingredients to make the batter look like a conventional one.. but then I decided to calm down and follow the recipe to the end. After all the recipe wasn't that of a traditional carrot cake so why should the batter look like one. .. a nice cake ! Again, it looked nothing like a traditional carrot cake, but was pretty nevertheless and tasted lovely. The sugar wasn't overpowering . 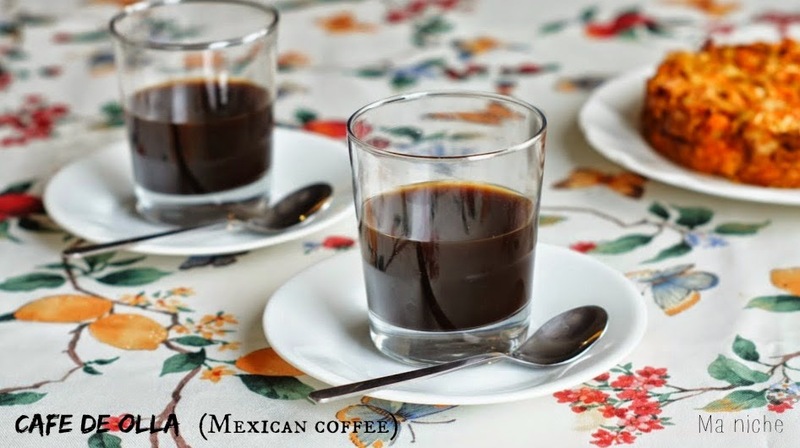 It felt just right with our cups of Mexican coffee... 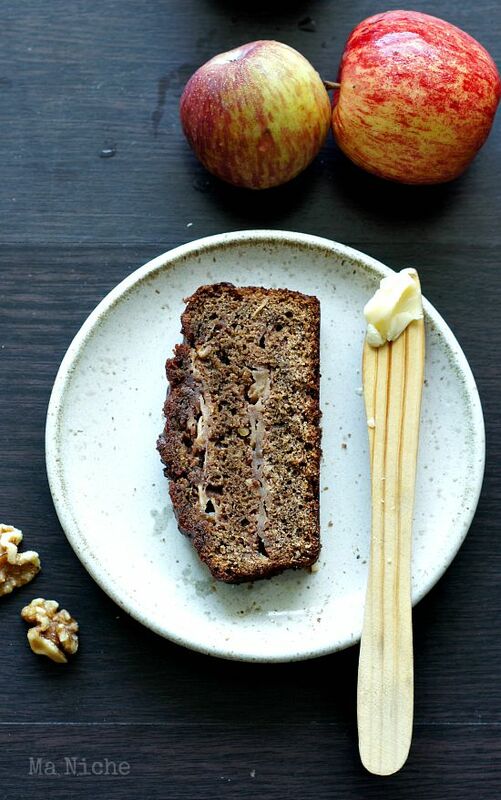 The mellowed flavors of the cake and the spices in the coffee were a perfect combination. * Whole wheat chapattis or rotis work just as well. Wrap a 6 inch springform pan with aluminium foil. Add the lemon zest, lemon juice and vanilla extract to the grated carrot. Mix well. Combine sugar with oil and beat the eggs into the sugar-oil mixture. Bake the prepared mixture in the 6 inch spring-form pan for 1 hour, or until browned on the surface. Cool completely before easing the cake off the pan. 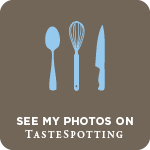 I feel the same - I love traditional cakes, and my family loves carrot cake, but it's great to try new recipes. This is really different make sure you share it with Food of the World on May 13th. We are visiting Mexico and this recipe would be of interest to everyone. So glad you brought it to foodie friday. pInning. This recipe def peaks my interest as well. I have to try it now just to see how it tastes! So glad you shared it with us on the Let's Get Real Blog Hop! I've never seen a cake like this before, it sounds great. Thanks for linking up to Sweet and Savoury Sunday, stop by and link up again. Have a great day!! Tanusree - do you think I could add some pecans? Hi Winnie , I am sure pecans will taste good. But as I mentioned the batter is really pathetic and dry. So may be you could add finely crushed pecans. You'll actually be able to decide once the batter is ready. I'll be looking forward to your version. 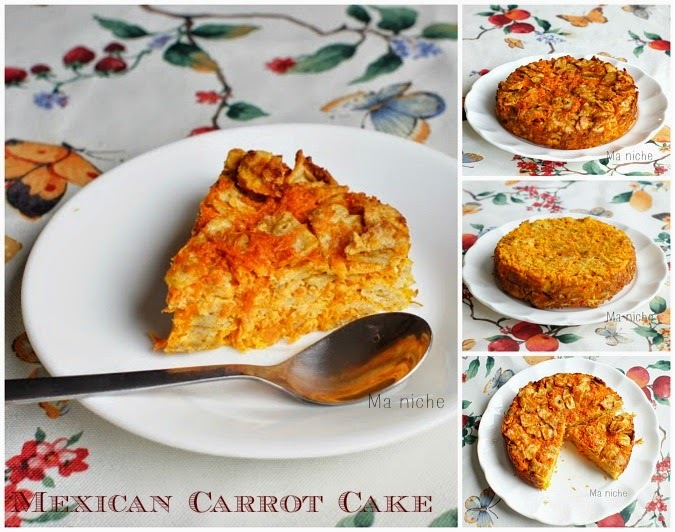 This is a great Mexican Carrot Cake! Thanks so much for joining our Foods of The World Tour to Mexico, hope you will join in France next month.